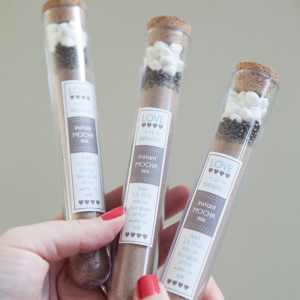 Whooo-hooo… it’s DIY Friday again and it’s super special because we are sharing our second ’12 months of Martha’ project! 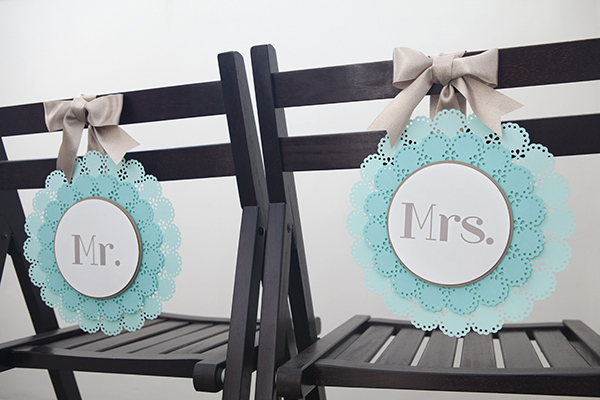 I’m absolutely in love with the new trend of having Mr & Mrs signs for your back of your wedding reception chairs… I say ‘new trend’ loosely because it isn’t exactly new, but it definitely wasn’t the thing to do when I got married six years ago. 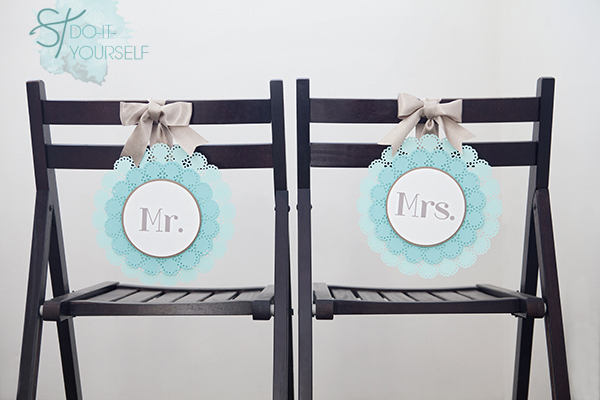 I think it’s absolutely darling to make some type of sign for the back of your bridal chairs – so here is a super simple way to let everyone know that there is a new ‘Mrs’ is sitting in that chair! 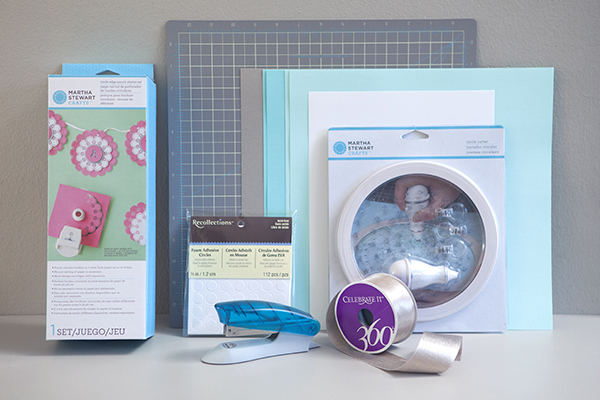 SUPPLIES // Martha Stewart Crafts Circle edge punch starter kit, Martha Stewart Crafts circle cutter and cutting mat, four colors of cardstock (2 of each color), foam adhesive circles, a stapler and your choice of ribbon. Start by downloading and printing the Mr & Mrs sheet from above; I’ve created them in the champagne color from this project, gray and black. 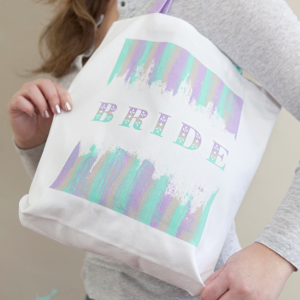 Of course you can always design and print your own! 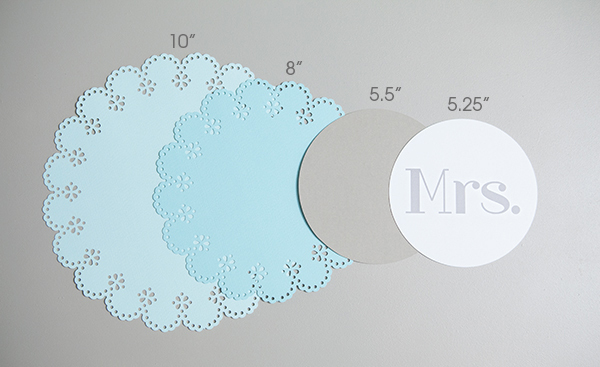 Using the Martha Stewart circle cutter on a cutting mat, carefully cut out both the Mr and Mrs – my design below cuts at 5.25″ round. Now the fun part!!! Using Martha Stewarts new fabulous circle edge punch, cut out two circles for each sign. 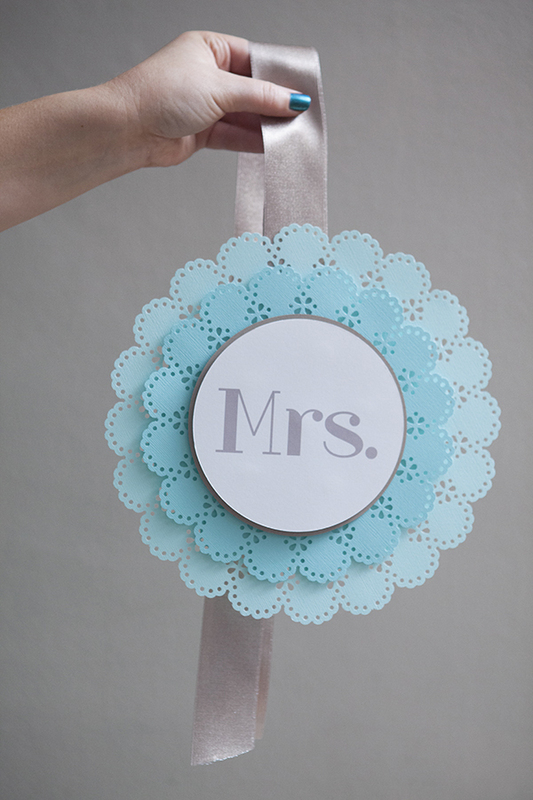 The circles in this design are 10″ and 8″. 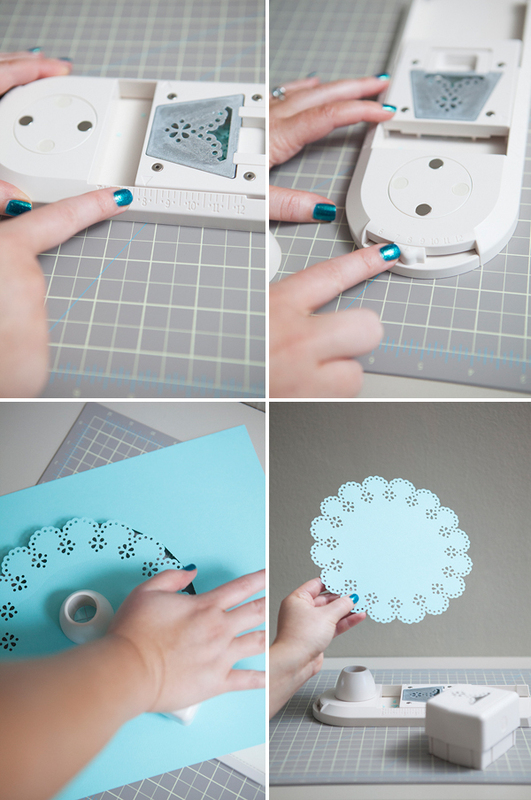 Follow the instructions in the box for setting up your circle punch. Set both of your measurement markers to 10″, center your paper on the punch, and start punching! After each individual punch, you will turn the center dial to punch the next section of your circle until it’s complete – it’s so cool! 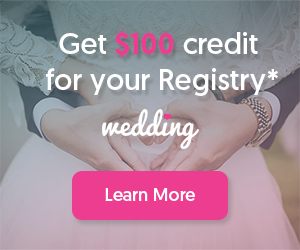 For the smaller circle, set your measurements to 8″ and do the same! 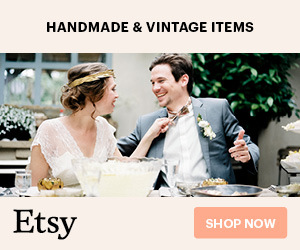 Cut 4 feet of your choice of matching ribbon. 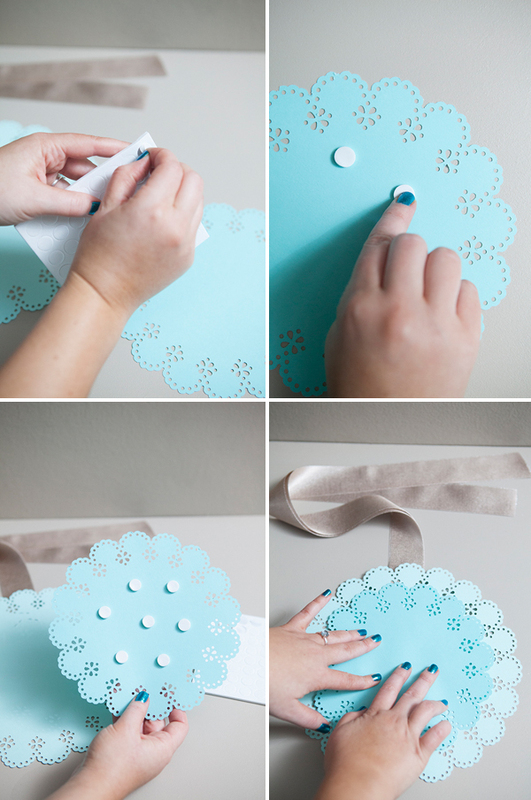 With your ribbon folded in half, staple the fold to the backside of the largest circle – 3 or four staples will do. 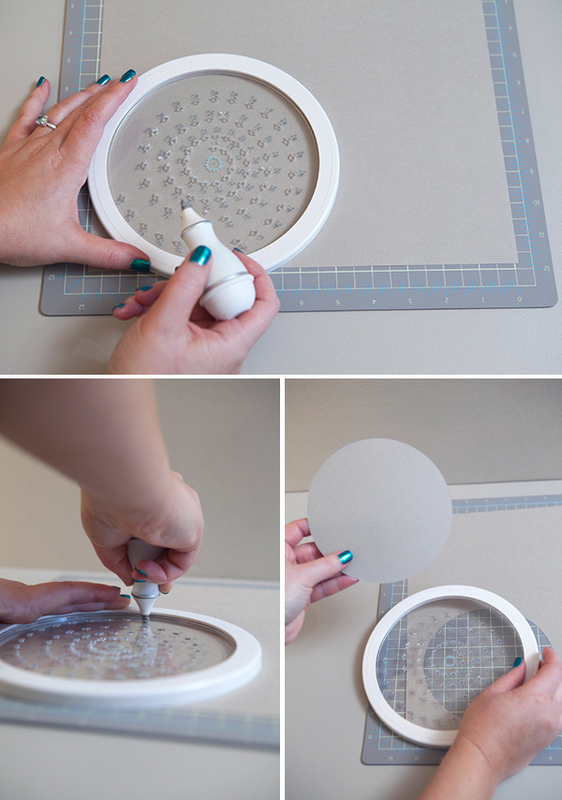 Apply six or seven foam adhesive circles to the backside of the smaller circle and press onto the larger circle. The thick foam circles add a beautiful depth to the signs. 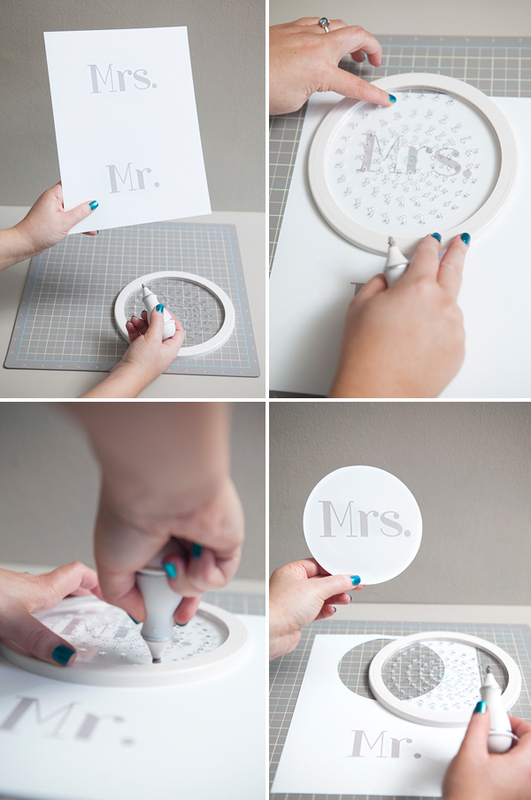 Next, using the foam circles apply both the plain circle and the Mr and Mrs circles. 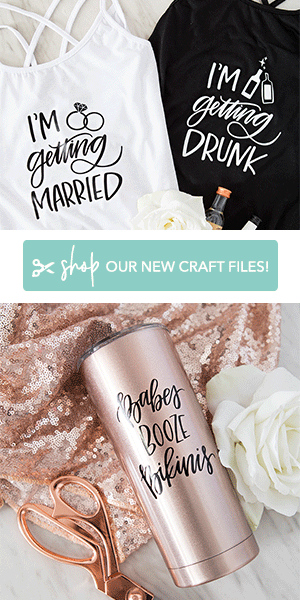 There are so many different ‘titles’ or nicknames that can be used for these chair signs… of course mr & mrs… bride & groom… his & hers… get creative and choose names that fit you! This is so pretty! 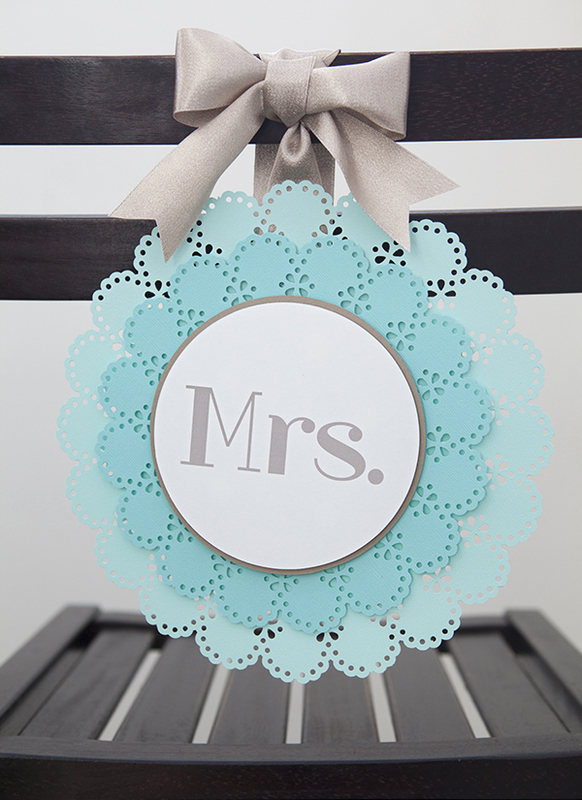 I love how you can customize the paper to match any color theme for your wedding. Uh oh, I thought I worked my way through the craft aisle and found my favorite punches. The circle ones are going on my list now! 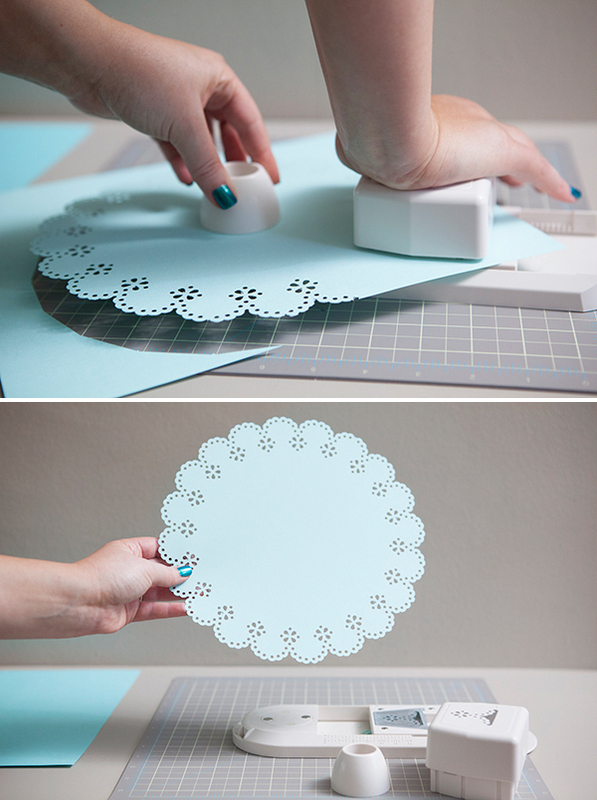 Did you get the Martha Stewart Crafts circle cutter and cutting mat in your box too? It looks like so much fun to play with!! Ahhh such a cute chair sign!! !